Kaabil box office collection day 2: The Hrithik Roshan and Yami Gautam film got the Republic Day advantage and earned Rs 18.67 crore at the BO. 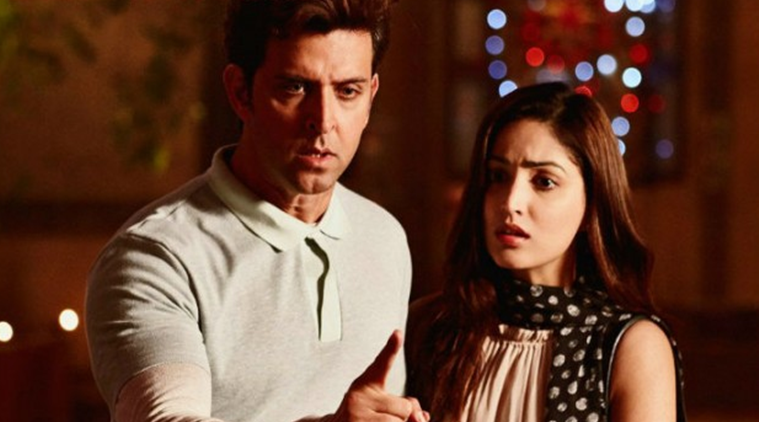 Kaabil box office collection day 2: Hrithik Roshan and Yami Gautam-starrer Kaabil increased its earnings on day two and earned Rs 18.67 crore on Republic Day. After earning Rs 10.43 crore on the day of its release, Hrithik Roshan and Yami Gautam-starrer film Kaabil showed a marked improvement and earned Rs 18.67 crore on the second day of its release. The fact that Thursday was a public holiday on account of Republic Day also added to the film’s success at the BO. The revenge drama released on Wednesday when it went head-to-head with Shah Rukh Khan’s Raees. Despite lagging behind SRK’s film in terms of numbers (Raees earned over Rs 20 crore on day one), Kaabil did better business than Hrithik’s last release, Mohenjo Daro. Despite mixed reviews, the film got glowing appreciation from celebs and the audience is also applauding Hrithik’s prowess as an actor. In fact, a lot have really expressed that without the powerful antagonist of the film, Ronit Roy and Rohit Roy, Hrithik’s character might not have been able to leave such an impact.